When it comes to choosing your Christmas tree many people debate time and time again about which is better, real Christmas trees or artificial ones. There are positives and negatives to both sides of the argument, but all in all, it is more than fair to say real Christmas trees create the joyous feeling of Christmas far better than artificial ones. Once you have overcome the dilemma of which type of tree you wish to use you are free to begin the decorating process. Baubles, tinsel, ribbon, lights and the one that is often not thought about much, but is essentially the most important part is the stand. These are all part of the decorating process, but the most important has to be the stand. Without Christmas tree stands the trees would merely lose their needles within weeks, possibly days and have no support to stand them upright. 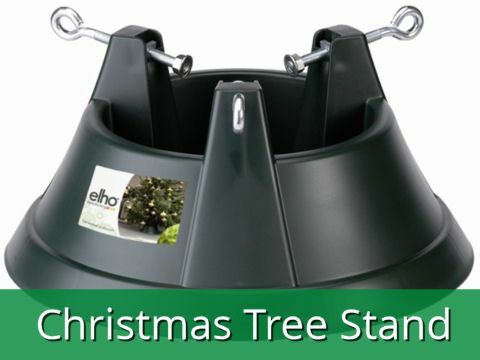 One of the most popular Christmas tree stands there are is the Cinco 7. This stand can hold a tree of a height up to 7 foot tall and caters for over 6 pints of water. Whatever size tree you have, we will be able to provide you with a great looking, effective stand. Don’t let a plain, old style bucket ruin the sight of your tree. And the Baby Reindeer’s name is……………. Billingley Christmas Trees, Back Lane, Billingley, Barnsley, S72 0JF. Copyright ©2019 Billingley Christmas Trees Ltd.